With an Ubiquiti Labs product being the focus of attention in TechPowerUp's renewed coverage of networking products earlier this year, I wanted to get a better feel for the market by checking out products from other companies next. When it comes to networking and routers in general, NETGEAR has become synonymous with the field over the years by branching out to various specific niche applications and adapting to the needs of the ever-connected world. 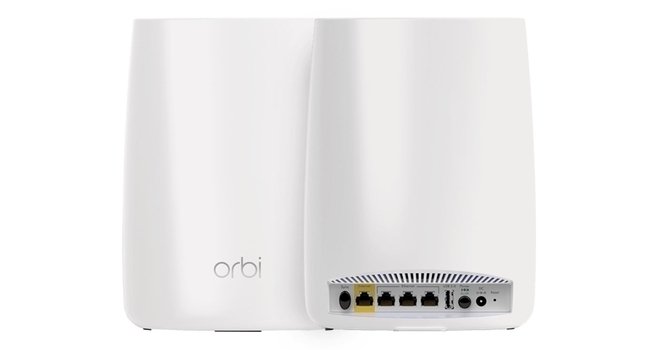 Their Orbi family of Wi-Fi systems offers mesh networking and promises excellent performance across a range of coverage areas while being simple enough to set up and monitor for the lay person. Today, we examine how well the product stands up to these claims, and thanks again to NETGEAR for sending a review sample to TechPowerUp. 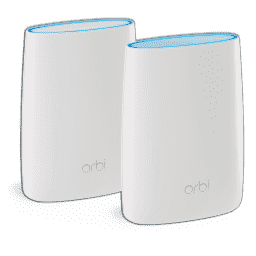 As of the date of this article, there are over ten different Orbi Wi-Fi systems already, and this is on top of standalone accessories, including a new satellite unit for outdoor coverage that was announced at CES this year. This may seem like a minefield to navigate, but NETGEAR does make things simple by using product names that are linked to the total wireless bandwidth, with a larger number typically having higher specifications. For example, this review is of the RBK50 that consists of a router unit (RBR50) and a satellite unit (RBS50), both of which support wireless AC and a maximum wireless bandwidth of 3000 Mbps, thus explaining the AC3000 added to the name in most places. The RBK50 system supports tri-band Wi-Fi with a dedicated radio for wireless backhaul and also has had support for Ethernet backhaul added recently, making this a product that should interest a large section of customers looking to establish a new home network. We begin the review with a look at the specifications below.